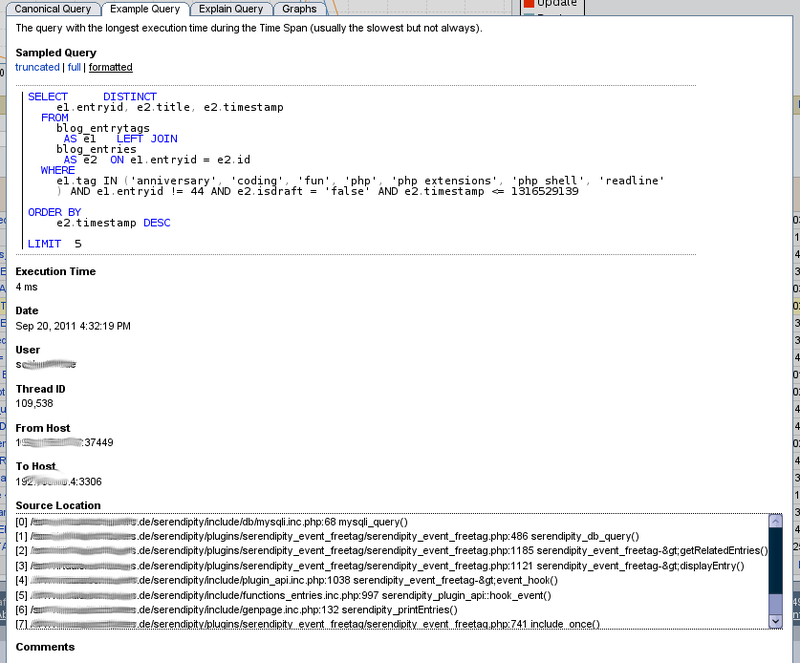 Johannes Schlüter has a new post to his blog today mentioning the beta release of the mysqlnd_ms plugin (previously mentioned by Ulf Wendel and a new feature that can be plugged into the MySQL Enterprise Monitor to make the Query Analyzer directly use PHP instead. When running a PHP-based application with MySQL it is often quite interesting to see what actually happens on the database sever. Besides monitoring of the system load etc. it is often interesting to see what queries are actually executed and which of them are expensive. 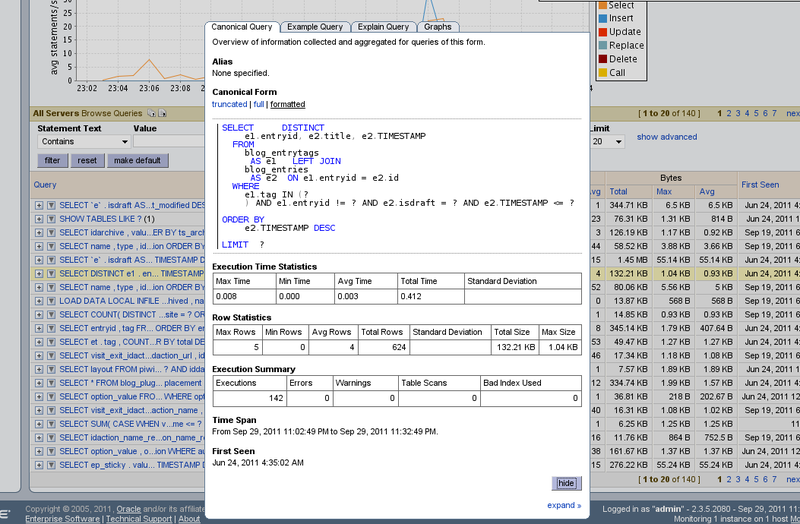 A part of MySQL Enterprise Monitor is the MySQL Query Analyzer which helps answering these questions. This was handled via a proxy that sat between the database and app server and ran through the queries looking for improvements. This new plugin keeps it closer to PHP itself without having to hit against the proxy. You can see the result in these two screenshots from inside the Manager application. You also have the side benefit of getting a stack trace of it running through the app to help you identify the spots most needing improvement in the code too.